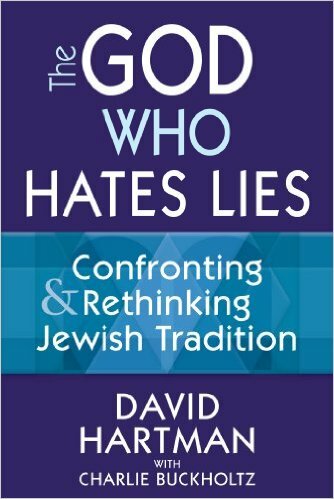 I just finished reading David Hartman’s The God Who Hates Lies: Confronting and Rethinking Jewish Tradition (2011). David Hartman was ordained an Orthodox rabbi at Yeshiva University in 1953 and moved to Israel in 1971. In Israel he became disillusioned with the rigidities of Orthodoxy and ultimately founded the Shalom Hartman Institute in Jerusalem in 1976. The Institute’s goal is to foster diverse voices within the Jewish tradition. What struck me in Hartman’s book is the complete absence of any mention of the occupation, the Palestinians, or the Arab Israeli minority. After all, Palestinians in the West Bank suffer violence on a daily basis at the hands of fanatical settlers who often draw on the dark side of the tradition that Hartman abhors. The military forces that police the occupation are increasingly made up of youth who grew up in the settlements. Israeli society is growing ever more racist toward the Arab minority. Hartman quotes Yeshayahu Leibowitz, an Orthodox Jewish philosopher and fierce critic of Israeli policy, about his Zionism (Leibowitz was simply tired of being ruled by the goyim), but he fails to mention Leibowitz’s moral revulsion at the occupation and at the treatment of the Palestinians. Unlike Leibowitz, Hartman assigns religious significance to the State of Israel and even ends with a reflection on Israel as “a light unto the nations,” again with no mention of the moral problems of occupying another people. I couldn’t help wondering whether the God who hates lies doesn’t also hate moral blind spots. It has always bothered me how religious identity so often manifests itself through depersonalizing non-adherents, non-members, etc. I’d hesitate to call that a “built-in” requirement but exceptions seem very, very few and very, very far between. Religion does seem to involve a certain tribalism.